We were pleased to receive the Kwik Stix 12 pk from The Pencil Grip, LLC to review. It is always a lot of fun when you can get creative with a review and creative is exactly what we got. I have to say that I am one of “Those” parents. 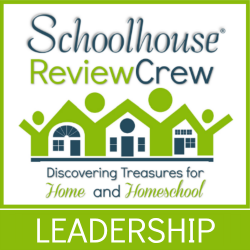 I listen to friends chat about their Charlotte Mason approach to homeschooling. Their artist studies and having their children re-create masterpieces with only the best art supplies. It sound very romantic, but the reality is that we are lucky to fit formal art studies into our day at all. Oh yes, each year I make a new vow to the Fine Arts and each year I feel like I fail miserably. However, we do much better at this endeavor if we have a well stock art cabinet of resources and tools. For this review, our family received the Kwik Stix 12 pk. This is an assortment of mostly primary color tempera paints. The unique design is that they are in plastic tubes constructed in a similar design to really large glue sticks. If you feel like you are running out of paint in the middle of your masterpiece simply twist up a bit more paint. There is no need for water cups to spill, messy paints brush that get more paint on the table than your work space, or dad’s old dress-shirts to use as smocks. The wonderful part about Kwik Stix is that there virtually no mess. The paints do go on to the surface you are painting wet, but dry within 90 seconds. Now that is a great deal for projects being done at homeschool co-ops that need to travel home in your car after class. I think the more appropriate question is how did we not use them. In the top image, I got into the action in really wanting to test what could be done. I realized that you can create a “sharp” side to the paints so that you can alter the thickness of paint you want to apply. Because the paints go on wet, you can also use your finger, cotton swabs, or even wet sponges to help blend colors. Once they dry there is no smudging so outlining certain parts of your drawing or filling in larger enclosed areas with a different shade can be done without smearing the color tones. Our 11 year old really enjoyed using Kwik Stix. We even caught him on occasion trying to sneak them away to his room for his sole use. At our homeschool co-op, I have the pleasure of teaching a Creative Ministries class. Our teens are working on a presentation of Amazing Grace and wanted to make posters of various types of sin that they see as prevalent in their world as they get more independent and challenged with things that were not an issue when they were younger. Many of these teens are now working in public venues and becoming more aware of the things that the world considers cool, but God does not agree. They are wanting to communicate that even when we fall into a point of temptation or must minister to those that have chosen to live in lifestyles not honoring to God that in the end God’s grace truly is sufficient. wasn’t sure how they would take to the use of the Kwik Stix. You know what… they loved them. They too got creative in using them at different angles to create different line thickness as well as using tones and boldness. There was exploration in the blending of the colors as well as using outlining for accenting purposes. For teens this was a pretty shy group. When I took out my camera to get pictures of the beginning of their signs, there was a lot of grumbling. But when I explained that I was writing this review, the group came alive. They were enthusiastic about sharing how much they loved working with Kwik Stix. They too mentioned loving how they went on to the poster board, the different ways they found to use them, and the fact that they felt like they could use them without making a huge mess with lots of supplies to have to clean up. Kwik Stix by The Pencil Grip, LLC were popular with our users of all ages. As always, we encourage you to check out what the other bloggers from the Schoolhouse Review Crew have to say after using Kwik Stix with their own children.